Based on the well-loved Russian folktale Baba Yaga and the Girl with The Kind Heart, this delightful show for children aged 4-11 and their families has live music, singing and challenges that the audience need to help with. 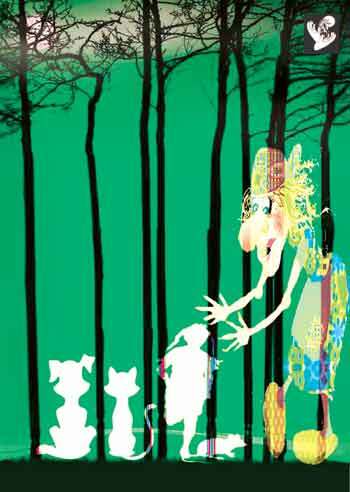 Anya’s stepmother sends her to the woods and the house of Baba Yaga on an errand. The trouble is Baba Yaga likes to eat children. A magical experience and heartwarming story of how good can overcome evil. Thanks to all the children and their families who helped Anya to escape from Baba Yaga ! 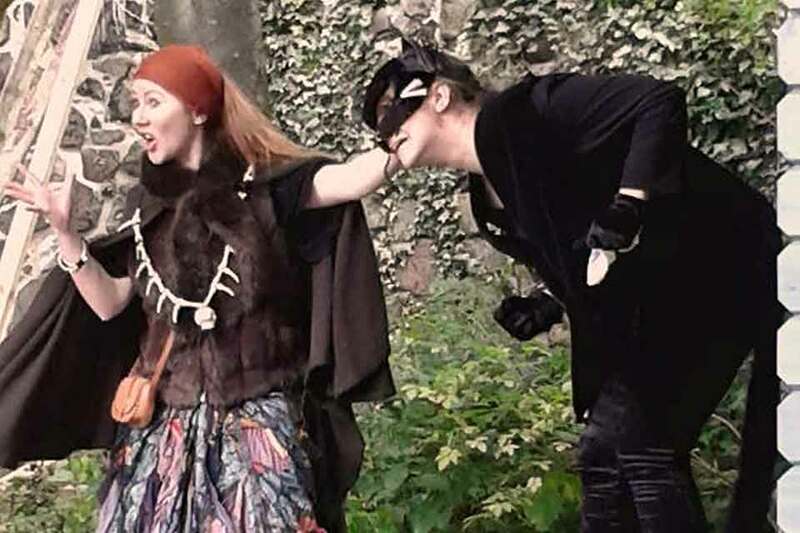 “…the children are encouraged to search through trees and bushes to look for things that will help Anya on her quest – a large bone, a jar of cream and a magic red ribbon, among other hidden objects. These are seized with delight by eager hands and delivered to Anya and the wandering minstrel who accompanies us to the witch’s den aided by a mouse called Moosiekins, a cat called Meeowshka and the floppiest guard dog you will ever meet, who goes by the name of Barkofski. Ticket Holders for the Baba Yaga show were able to view around 30 enchanting paintings by primary school children at the Millar Hall in the show venue. From a competition organised by the Scottish Russian Forum. MORE..